This year, one entry stood out from the rest. Rachel’s tweet stated that her friend, Sarah, had just graduated from the University of Florida and had been accepted into Med school. Rachel’s tweet continued that she would love to surprise Sarah with some passes to this year’s Spring Awakening. Well that’s exactly what would happen as Rachel was rewarded with a pair of 3-Day GA tickets. 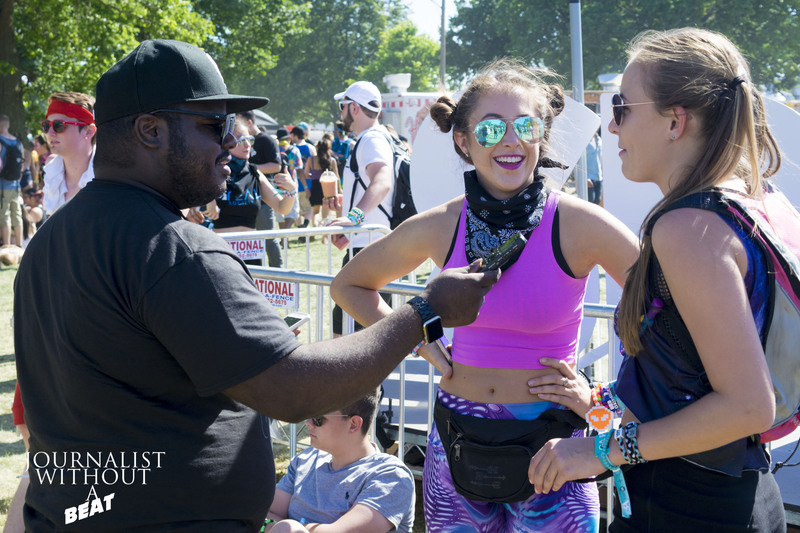 During the explosive weekend, I caught up with Rachel & Sarah to get their thoughts on the festival and making the trip to Chicago. Originally from Florida, this wouldn’t be Rachel’s first time in Chicago. “I actually came here when I was 10 years old and visited the American Doll place for my birthday”, said Rachel. For the record, this is the first time someone from out of state, Florida to be exact, to win a Journalist Without A Beat contest/giveaway. 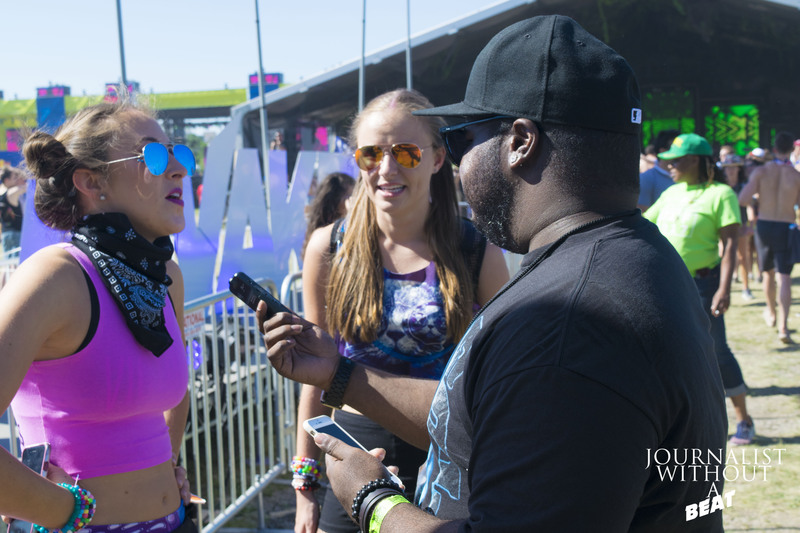 This however wasn’t Rachel’s first rodeo at an EDM festival and this wouldn’t be the first time (and maybe not last time) the duo would travel for a once in a lifetime experience at a music festival. “There’s EDC Orlando, we both went last year. That was my first festival and it was amazing”, replied Rachel. “Then we recently went to Shaky Beats in Atlanta, so this is my third festival”. What would be Rachel’s initial reaction when she was informed that she had won? “I was in the library, studying for an exam and I almost starting crying because I was so excited”. Sarah shared the same sentiments – “I was ecstatic!” Sarah continued, “We were thinking about coming before and I was like “I can’t do this, we have too many other things we need to do”, but then we won tickets – there was no way we could say no”. Before heading off to enjoy the rest of the festival Rachel stated what she wanted most out of the weekend. “Friendship, I just love being around her, her brother, and his friends. It’s our third festival together, we’re best friends. It’s amazing”. Will you be next to be featured? Stay updated for contests/giveaways by following @JournalistWAB on Twitter.